Harry Potter taught me everything I care to know about punk. “ I was lucky, though, that my parents did not know stories could change me. They did not know that bringing home the first Harry Potter movie on VHS when I was six years old or letting me read the books would show me a world beyond my four walls — not an escape, but a realm of possibility, a map and compass. They certainly did not know enough about the internet to stop me from finding Harry Potter fan sites and downloading music by a band called Harry and the Potters. Those songs, as songs do, changed everything. These days, I know all sorts of things about the power of story and the real change that can come from books. I live it. But in elementary school, I had no way of knowing books could be more than make-believe. I could root for Harry as he found friends and fought monsters and lived heart-first, and I could see myself in his beginnings and in his loneliness, but I could never quite connect the dots. Music, though? Music was real. I heard it on the car radio. I saw it in magazines. I watched music videos every morning. And then I heard Harry and the Potters singing about resistance and friendship and love, and suddenly all of that was real, too. Wizard rock quickly became the foundation for my politics, my persistence, everything I knew about courage. I had no say in my safety or the conditions of my survival, but I had a say in what I believed about the world and about myself. There was a goodness and ferocity in Harry and the Potters’ music that made it clear I didn’t owe a drop of belief or allegiance to any authority in my life. I could revoke my father’s privilege to guide and influence me. I could choose what would raise me. I chose Harry Potter. I chose wizard rock. 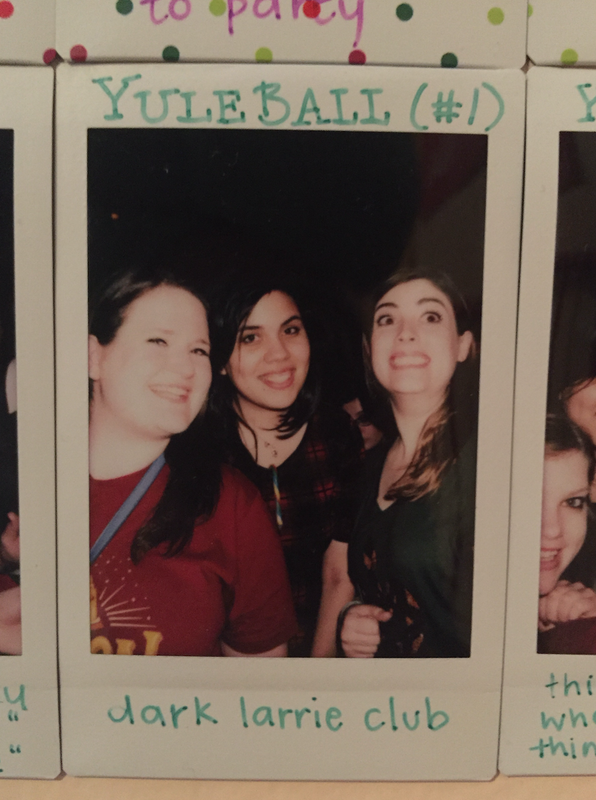 At the Harry Potter Alliance, we’ve been developing the idea of the wizard activist: someone who is involved with our work, but also someone who approaches activism with the enthusiasm, idealism, and goofiness of fandom. I see wizard punk as a closely related concept — and not, necessarily, a new one. As with a lot of ideas and passion projects I take on, it has its roots in wizard rock: a tag I saw on the Harry and the Potters tumblr, the genre’s DIY ethic, the constant inspiration and encouragement this community gives me. There’s nothing that’s been in my life longer, or in a bigger way, so I spend a lot of time thinking about it. In the past year especially, I’ve grown determined to help make space for more people to feel empowered to share their art, to work with their peers, to make art for and about this brilliant, improbable community we live in and live by. I’m not sure what that means yet, or what exactly this Wizard Punk thing will end up becoming. I do know that almost as soon as the idea came together, I took it to Jackson Bird and Olivia Dolphin, two of my closest friends and creative inspirations, who I’ve counted as founding wizard punks since. I know that I want it to be an idea and a community and a call to action, for starters. I know that when Jack and I made the first ever wizard punk buttons on pale yellow sticky notes using Katie’s button maker in a Granger Leadership Academy hotel room, it felt like magic. And I know that there’s no space more supportive, enthusiastic, and willing to take big goofy leaps with you than the one we call home, so I’m thrilled to launch this ever-changing-whatever-it-is at GeekyCon next week at 1) the Wizards in Space/Wizard Punks table, where I’ll be selling these buttons and some zines with other wizard punks and 2) the Yer a Wizard Punk program on Sunday. We’ll see where it goes from there. Girls to the front is both the de facto slogan of the Riot Grrrl movement and an instruction. It’s a statement against the still-common phenomenon of white cis men dominating punk spaces — literal, physical spaces: standing in front of girls despite often being taller, prioritizing moshing over their peers’ safety, pushing girls and queer people and trans people and people of color to the back. Among so, so much else, Riot Grrrl was and continues to be a reversal of that — flawed, nuanced, but always forging a way forward and a way to the front. In the wizard rock scene, some of the most powerful work comes from women onstage and off. I’ve grown up with role models, mentors, peers, and friends (often in all of the above iterations) like Lauren Fairweather, Kirstyn Hippe, and all the girls I have the privilege of sharing crowds with. The Witches of the Sacred Heart/Gringotts Goblin Coaster Girls (long stories behind both names) crew, in particular, who always start the wizard rock lines and always bring a wizard-punk-as-heck creativity to the things they love, inspires me daily and makes every crowd I get to share with them the best one. I’m endlessly grateful to be part of a community that centers women — one where conventions are run by women, women rock the hardest, women feel proud to sing along and shout their enthusiasm. 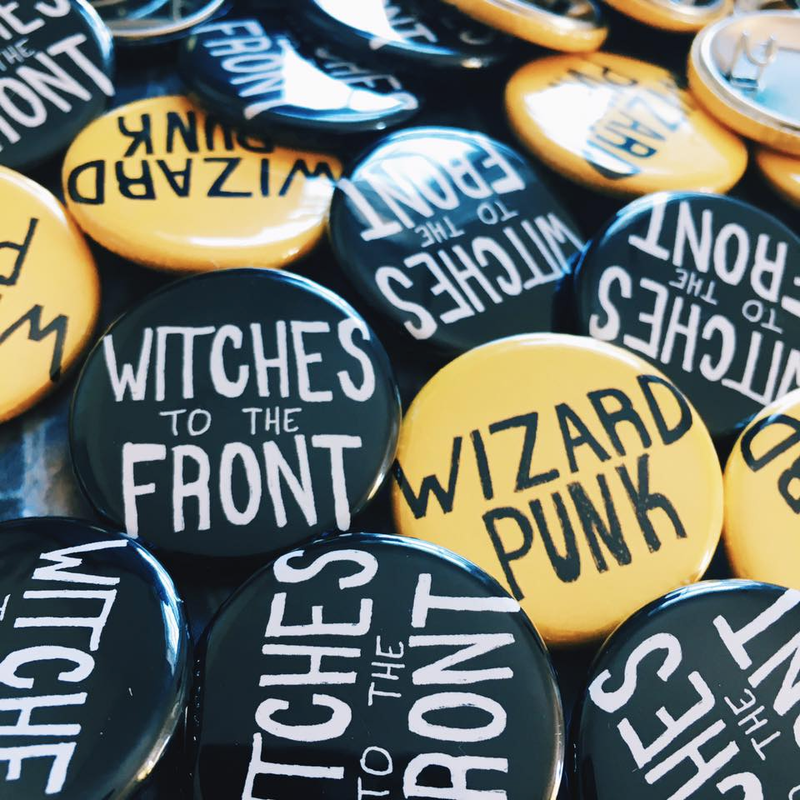 This Witches to the Front thing — just buttons for now, but also the idea and the action — is both a tribute and a reminder. some of the very best, brightest, coolest witches i know. photos c/o ali! Olivia, Jack, and Janae, who have jumped into this wizard punk thing headfirst with me and teach me new things every single day. 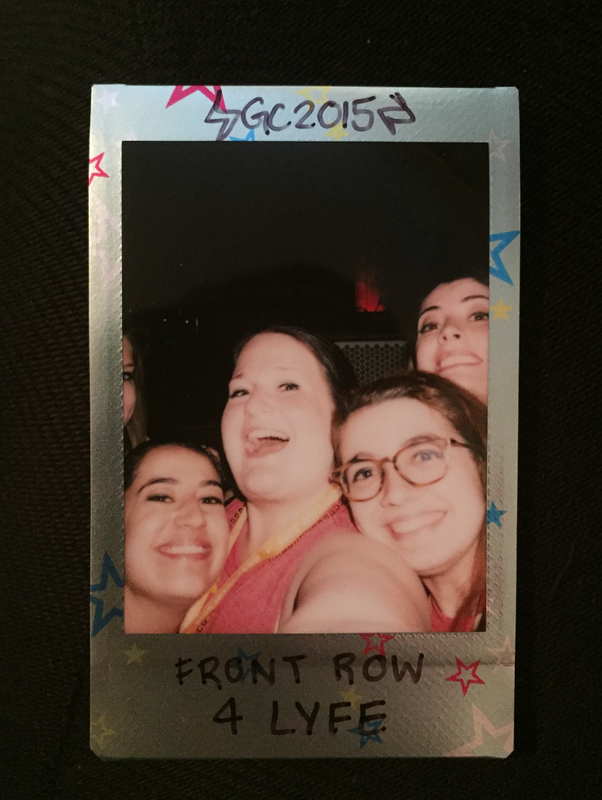 Ali, Danielle, Michaela, Marianne, Jodi and Stefanie, for always being at the front and all the other things. My Ghostbusters crew, for being a dream team beyond all dreams. Wizards in Space and the people supporting it for giving us a table at GeekyCon through the crowdfunder. And for existing. Kirstyn Hippe, for always inspiring me to be kinder and more driven and more creative, and for the honor of being able to call her a peer in this fandom. Brian, for opening his house up to the community and being one of the kindest people I know and letting Olivia and I commandeer his house shows to read words. Jill, for her kindness and advice and encouragement. Brad and Sarah, for the encouragement and advice and song recommendations and all-around wizard punk kindness. Paul and Joe DeGeorge, for wizard rock and wizard punk and always being super encouraging (even when it’s about me taking an idea of theirs and running with it). And all the other things. Melissa Anelli, for being a badass witch in charge and all the things she’s done from that post. Mischief Management staff for creating and curating the place we can call home, even if never for as much time as we’d all like. Lauren Fairweather and Matt Maggiacomo, for more things than I can ever articulate but in this case for being two of my biggest wizard punk role models, being endlessly encouraging and supportive, making art that changed and shaped my life even before I met the people behind it, and contributing so much to this community. 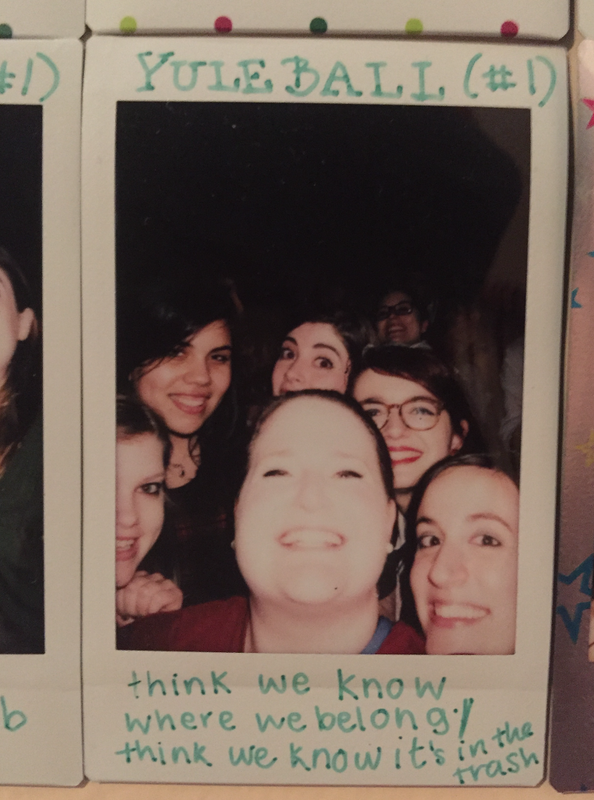 All the wizard punks and all the witches at the front, especially the ones I’m lucky enough to call my friends.